The exporters said gridlock and inefficiency at the ports of Nigeria’s commercial hub, Lagos, delayed shipment of 50,000 tonnes of cashew nuts and is threatening this year’s output as traders are cash-strapped. 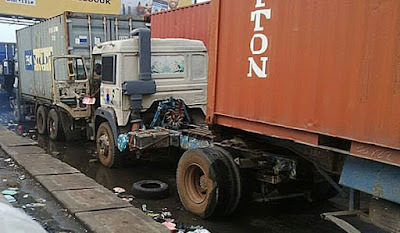 “Roads to Lagos ports are badly congested, with hundreds of lorries queuing to enter the premises and either deliver or pick goods. In addition, inadequate capacity and infrastructure, stifling red tape and corruption are hampering export processes, “Fasheru said. “There is a palpable lack of synergy among the port operators and this is affecting the business of our members, ”he said. Some members of the cashew association, he added, have defaulted on contracts to the extent that foreign buyers are now walking away from them. “They are no longer willing to give us fresh contracts,” said the group’s president. The delay is likely to affect the output target of 260,000 tonnes for the current season, which started in February and will end in July.